These spawning mops are made from 100% acrylic wool. They are attached securely to a 30mm aquarium sucker. This ensures that the spawning mop stays securely in place. I supply them with either all green wool, or a 50/50 split of green and white. The consensus is that the white represents the roots of plants, which fish like some Cory's prefer to spawn on. I have tried them out, and found that ours certainly spawn a higher yield on the mops, instead of the glass. 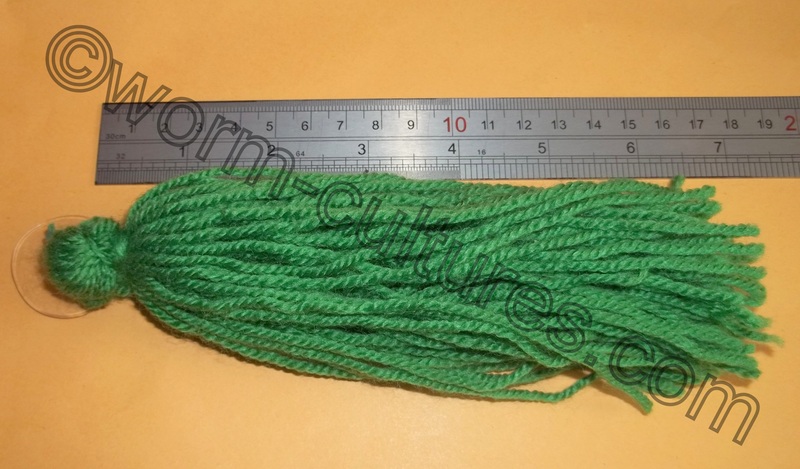 The mops are available in 5 different sizes, 3 inch, 5 inch, 7 inch, 9 inch and 12 inch. All sizes are approximate as they are hand made, slight variations are to be expected. 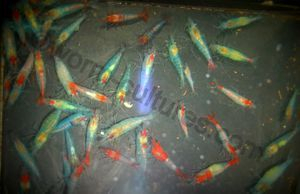 The spawning mops are perfect for various fish to either spawn in, or, for the young fry to hide in. The mops get micro organisms living on them, which creates food for the fry too. And as they can be sterilised are far easier to use than live plants, which can bring unwanted hitch-hikers into your tanks. Once you receive the spawning mops. It is advised that you put them into hot water for a few minutes to clear any surface dust that may have accumulated on the wool during storage. Ensure that all the wool is wet to expel any air that may be trapped. If you want to create a sinking mop, then remove the suction cup and attach to something heavy. Or, if you can access the base of the tank easily, then attach the sucker to the base. Custom sizes can be made on request.